Last night was mighty pleasent - I won 2 games which is a rarity - but more importantly I won my first ever Commander game on the back of Vorosh, the Hunter. While not bad for the decks first hit out, I have some more ideas for tuning. Overall I was quite satisfied with how it performed. One issue I noted was the lack of tutoring effects. 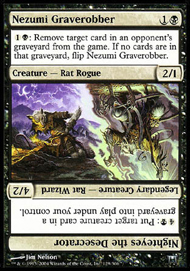 The deck had plenty of gas, but the inability to go looking for a silver bullet was limiting. 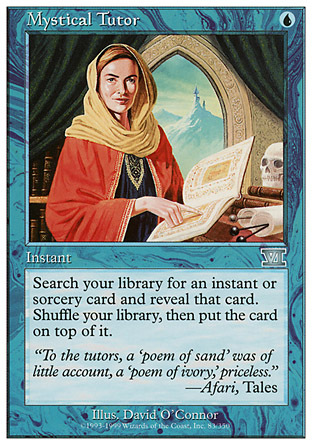 I think I need two additional tutor effects, perhaps replacing a card draw with a tutor instead. The mana base was solid, although I did find myself struggling for green mana at times. This could have been a feature of my search decisions so will leave things the way they re for now. 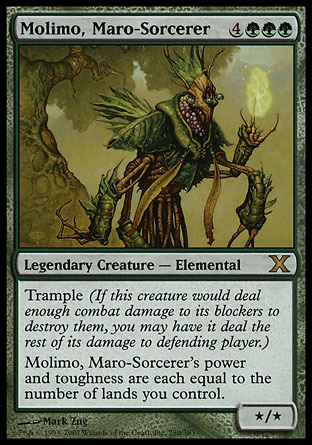 Molimo, Maro-Sorcerer - This big boy showed the power of a ever increasing trampler. The absense of spot removal helped his cause somewhat. 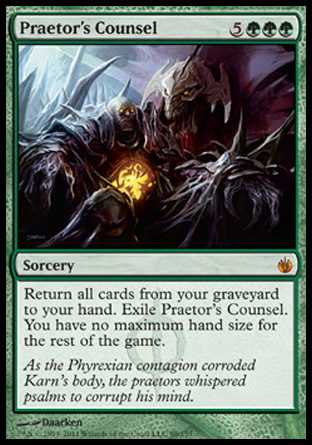 Praetor's Counsel - Turned the game on its head as 25 cards in hand is a pretty good advantage late game. These are the new additions to the deck. 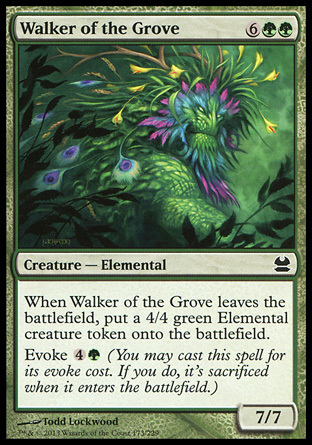 Some are upgrades, some are enhancing the focus of the deck, while some are simply cute cards that I like. 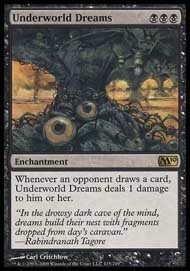 Underworld Dreams - The meta game includes a number of people who love drawing cards. This is my attempt to "reward" them for their efforts. 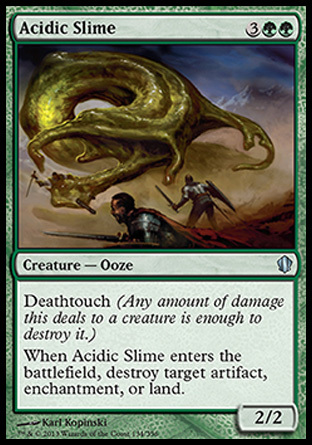 Acidic Slime - A strictly better Indrik Stomphowler because it hits lands and while smaller has deathtouch. Vhati il-Dal - A funky little combo with two cute cards I like. 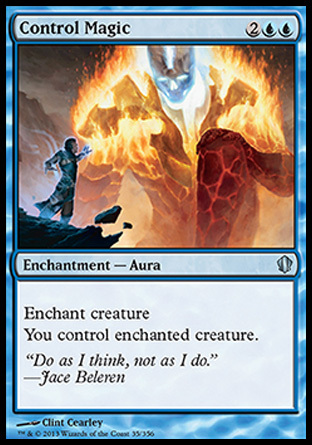 Control Magic type effect with teath. 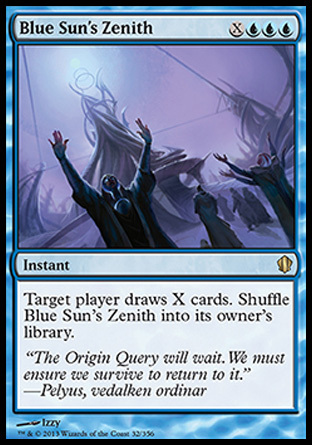 Blue Sun's Zenith. I am not convinced of its worth, but I'm willing to try it out. 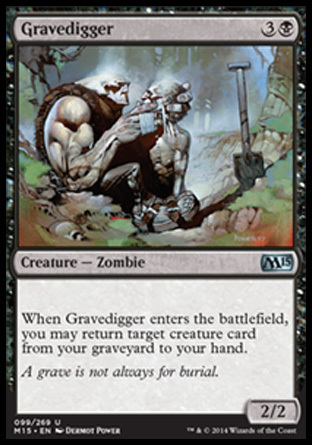 Gravedigger - In Commander, a 2/2 body is simply not big enough. 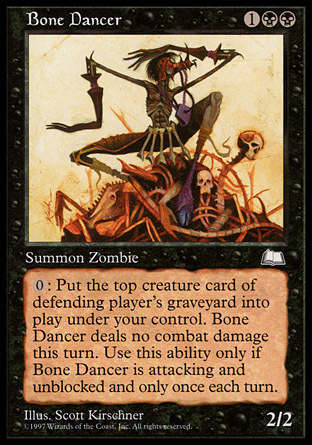 Bone Dancer as it is a better graveyard thinner. 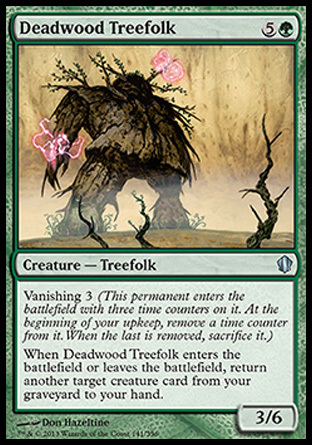 Woodfall Primus The ability to hit planeswalkers is pretty strong. Just a solid all round guy. Magus of the Future - Just wanted to try this baby out - Simple really. 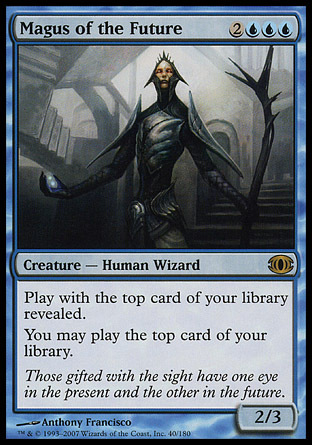 Mystical Tutor - First additional tutor added to the deck. 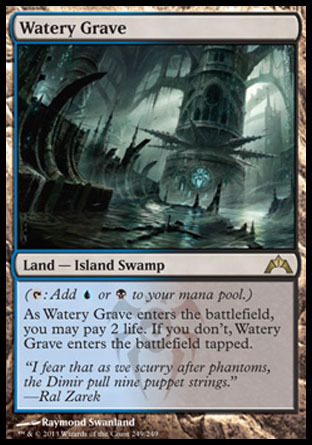 Watery Grave - A land upgrade. 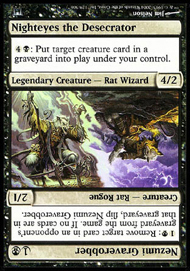 Part of my goal to remove the Ravnica Bounce lands from the deck. No one deck can deal with every thing that could possibly happen in a game. While it is possible to include cards for all eventualities, you still have to find the cards when you need them. Then there is the situation where you find yourself holding the answer to the wrong question. 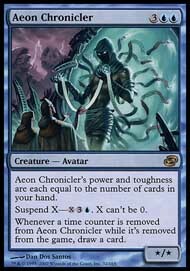 If you have played in tournament Magic you will be familiar with the concept of the Meta Game. For the uninitiated, the Meta Game is the environment of the tournament in which you play. What types of decks are being played, and in what quantities. 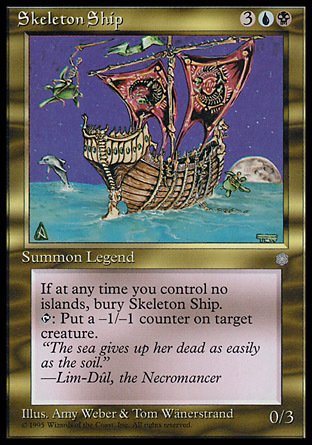 Armed with this information you can then make changes to your decks configuration to gain the edge over the field. Moving back to the multiplayer environment I am pondering how to Metagame multiplayer Magic. What can you do to preserve your position against your evil enemies? This is a perplexing problem to be sure. On the one hand you can not load up with all of the toys that you need to take care of business. 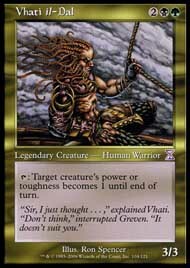 On the other you want to have answers to the dominant decks you may be facing in an evening. Plan of the moment - The 55 card deck. An odd idea, but one that has merit. 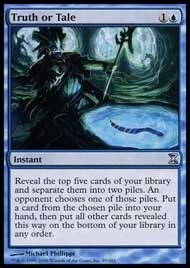 You build a 55 card deck list with 5 spaces floating. You then have three 5 card packages pre configured to deal with a different threat type. 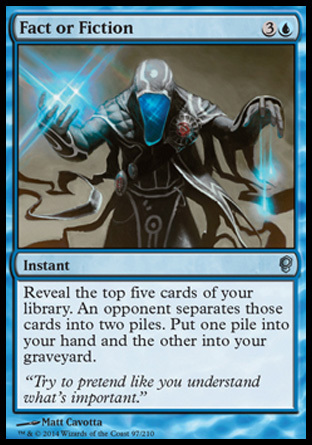 Based upon what you see at the table, you add one of those packages to your deck before you start playing. 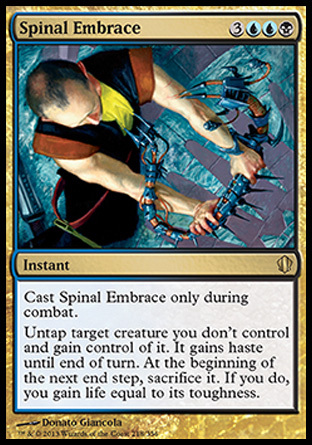 This is the same as making a meta game call on the base configuration of your deck prior to the start of the tournament. You can make the decision of which package to shuffle up as the game begins, taking advantage of the decks people are piloting. Is this cheating or against the spirit of the game? I don't think so. It's just an attempt to get a small but valuable edge on the competition. First lamb for the slaughter - Exploring Elspeth. Ok, so I've been quiet for a while. I havent given up on this great game, nor the website. What I have done is tweaked the way that my decks are showcased. As you will see from the menu, the deck index as been removed from the menu and replaced with two options - Current and Archived. Click on those links to see the great changes made to the deck list page. Don't like it? Tough cos I do and you are stuck with it!